There was the game, "Deus Ex," followed by its sequel ("Invisible War") that absolutely nobody likes to talk about. 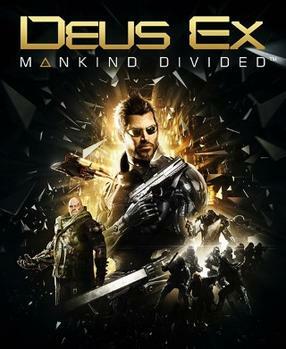 Then they made a prequel, "Deus Ex: Human Revolution," that was actually really good if not without some flaws. Now they've got a sequel that is also a prequel (as it takes place before the debut game) and putting aside how at first the pre-order scheme was terrible and people shouldn't pre-order games, we now have this sequel-prequel some five years since the last game came out. Wait. It has been five years since, "Human Revolution?" Well, I got that game for my PlayStation 3 shortly after moving to Saint Louis in the late-Summer/early-Fall of 2011, so yes, I guess it really has been that long. I didn't finish, "Human Revolution," but thankfully this game has a 12-minute prologue video you can watch to get yourself nice and updated--and honestly, even if you did finish the game I would think half a decade is a long enough time to forget plenty. Some control-changes aside plus the utilization of the touch-pad on the PS4 what with the game having moved up to this current generation, it handles a lot like the last game (and you can even select a control scheme to make it exactly like, "Human Revolution," should you want). The graphics are a lot better however, and as opposed to two small-ish city regions you can explore (as well as some big mission-areas) there is just the huge city of Prague (and of course some big mission-areas). Oh, and unlike the last game you actually get to go-out and explore during the day, that's a bit of a change. The plot is made-up of a variety of your usual sci-fi concepts, with a group actually known as, "The Illuminati," possibly running the world, cyborg-styled humans (called, "Augmented," in the game), and a variety of political metaphors where augmented people are persecuted, with this concept sometimes used to better effect than other times (like that whole, "Aug Lives Matter," debacle). The graphics also are quite pretty but not at the level where I said, "Oh my God, this is an incredible improvement over the previous game!" as much as I went, "Hey, this looks a good degree snazzier!" 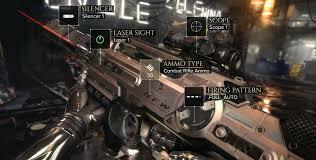 The game-play is the same style as before where you face various missions or side-missions and can choose to handle them a variety of ways as the augmented human, Adam Jensen. Whether you sneak about and act non-lethally or go about things with a lot of noise and violence, there is generally something interesting to do--and because no game is complete without it now--you can craft stuff and tweak your weapons too. I got, "Deus Ex: Mankind Divided," from a Redbox Kiosk off-and-on for a number of days (much thanks to my wife for the rental coupons!) and would still say I am very early into the game, but I quite like what I've played. The story shows its glimpses of creativity with some interesting characters, but it is mostly ancillary to the awesome game-play and general cool futuristic-vibe. I look forward to playing this more when I have the time and coupons. Note: I played on a PlayStation 4, for those who were curious.